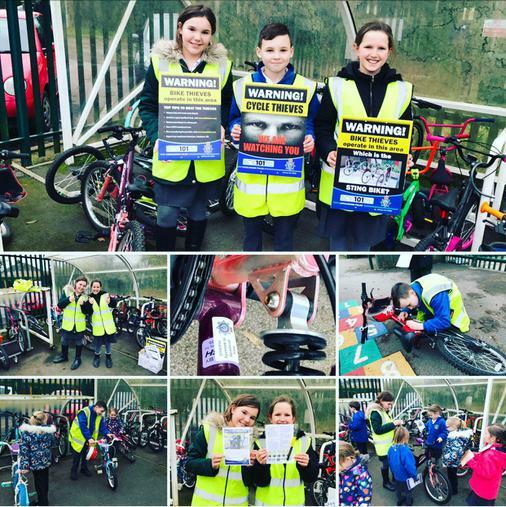 The JPCSOs at school held a bike marking initiative this afternoon to security mark all those bikes and scooters received at Christmas and before. 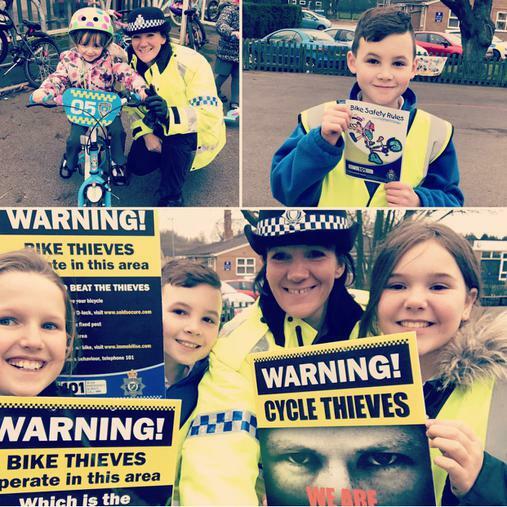 They enjoyed sharing safety information with their fellow pupils on how to keep their property safe. 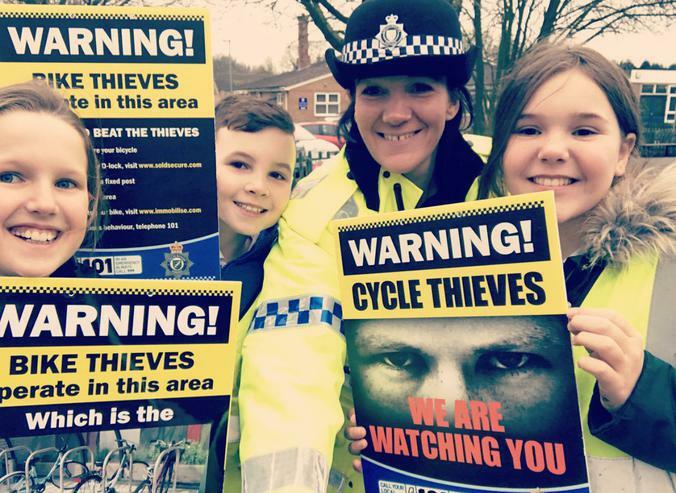 Look out for our safety posters placed in the bike storage areas in the playground.